To take advantage of the good weather and light evenings during the summer months we tour around the region mapping areas which look either interesting or not well-mapped. So far this year we have visited Stratford-upon-Avon where we attempted to map all the tourist accommodation (it is the 400th annivarsary of Shakespeare’s death and this town is a global tourist destination). The ongoing project is to map all the buildings – help appreciated! This quarter the UK OpenStreetMap community is mapping schools. So far over 250 people have made 10,000 edits – a hugely impressive feat! 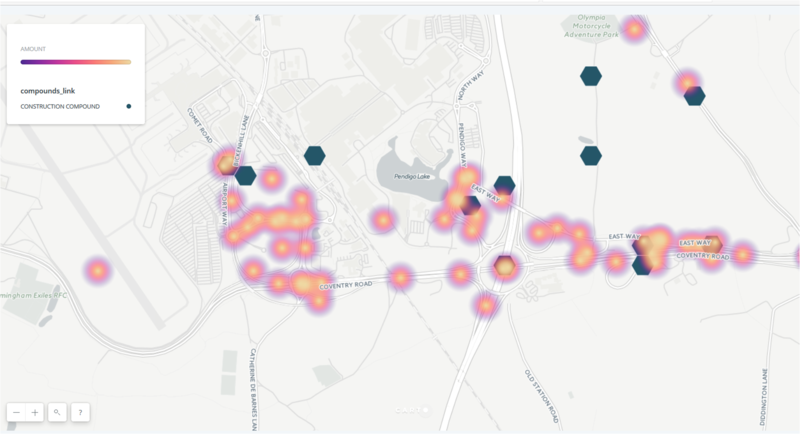 There’s still time to get involved and on Tuesday 1st March we are holding “Night School”, an online mapathon. Night School is experiment for the UK Quarterly Project; on the evening of Tuesday 1st March let’s join together as one big community to map schools. There are no rules, simply start when you like and finish when you like and map where you like! Follow along with the progress on the school edit tracker and our live map of edits (to show up on the map simply add “#OSMschools” to the comment box when you save your map edit). 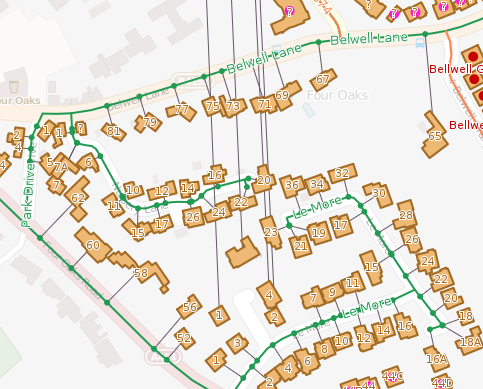 If you don’t know how to map schools in OpenStreetMap check out our handy picture tutorial. You can always contact us for more support should you need it. Ideas for making the evening more fun are welcome! 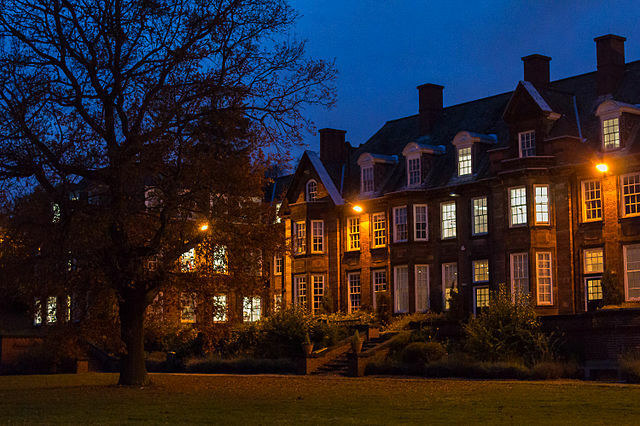 Don’t forget the discussions on Schools Quarterly Project that are taking place here on Loomio as a trial for a possible platform for UK member decision-making. Even at this stage of the project new people are joining, so spread the word on other channels to see who we might attract. Survey: A “UK/GB OpenStreetMap group”? should a UK/GB group be set up). On Thursday 4th June the Mappa Mercia group met in Water Orton on the outskirts of Birmingham, UK, for our monthly mapping event. We had good weather but not everything else went to plan! Here’s a few highlights from our twitter account – you can follow us on @mappamercia. Despite being briefly stopped by the police (a first for us) we had a great time mapping Water Orton. If you would like to join us next time we will be in Telford. Although details are yet to be 100% finalised it is looking like we will diverge from our normal ‘first Thursday of the month’ to make more of an event out of it. So join us on Saturday 4th July in Telford. Last weekend saw hundreds of OpenStreetMappers descend on New York City for State of the Map US 2015. Our very own Andy Mabbett (he’s @pigsonthewing on twitter) was in attendance and gave two talks; the first on Wikidata and it’s inclusion in OpenStreetMap, whilst the second (a 5 minute ‘lightning talk’) was on us, the Mappa Mercia community. Here’s how it played out. You can read more about Andy’s proposal to automate wikidata tagging in OpenStreetMap here. To see which map features already include a wikidata tag check out this map. On Saturday a surprise speaker was announced – Megan Smith, Chief Technology Officer of the United States. Andy used the opportunity to capture a sample of her voice for ‘voice intro project‘ he instigated on wikipedia. You can listen to the audio clip on her wikipedia page. When I first started contributing to OpenStreetMap there was a Project of the Week section on the OSM wiki. After much success this eventually came to and end in July 2011. Now, after a three year break, its back in the form of a “wochenaufgabe” (weekly task), for it is the German OpenStreetMap community that has brought back this weekly project. 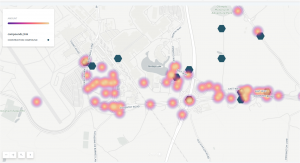 This weeks task revolves around adding street names to buildings and suggests contributors use the Geofabrik OSM Inspector tool I previously blogged about. Given that I recently helped to map buildings as part of our Shenstone meet-up, I thought I best check the quality of our evenings work. 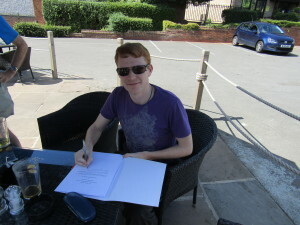 As it turns out, my attention was quickly diverted to the neighbouring town of Sutton Coldfield. As shown in the image above there are a collection of houses in Four Oaks that have a street name that links to Aston Close in Shenstone, 5 miles north (as seen by the lines heading north from each property). The buildings are tagged with addr:street=Aston Close, whilst the nearby Sutton Coldfield street is tagged name=Alston Close. So which is correct – Alston or Aston. We could go back out an survey this close, or turn to OpenData in the form of Land Registry’s Price Paid data. 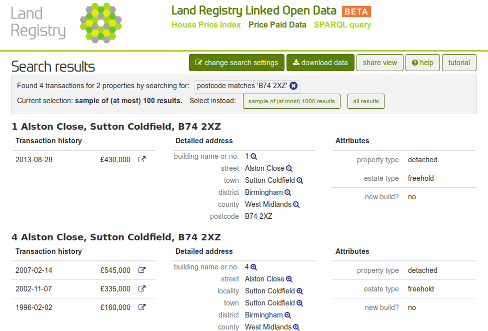 A quick search of the Price Paid data identifies the Sutton Coldfield street as Alston Close. No longer will you end up 5 miles out of the way next time you use OSM to route to this street.